Nuedexta is used to treat people with pseudobulbar affect (PBA). PBA is a disorder in the nervous system which causes a person to suddenly cry or laugh out of nowhere. It might not be a big deal for you when you encounter it at the first time, but it is a serious condition that needs appropriate medical attention. PBA’s symptoms are easily mistaken to be depression or bipolar disorder because of the patient’s sudden change of emotions that don’t quite fit the situation. According to studies, the usual causes of pseudobulbar affect are a stroke, dementia, multiple sclerosis, brain tumor, amyotrophic lateral sclerosis, Parkinson’s disease, and other conditions that might affect one’s brain. After consulting the doctor about PBA, he or she might recommend you to take Nuedexta for your treatment. Nuedexta is composed of two ingredients which are Dextromethorphan and Quinidine. These two components are combined with 20mg for Dextromethorphan and 10mg for Quinidine to give the full effect of Need extra to PBA patients. 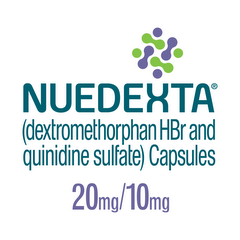 Nuedexta is FDA approved and should be orally taken by patients. To prevent the side effects, your doctor will usually recommend you to take the medication once a day for seven days and then eventually increase to two capsules a day from the eight days of the treatment onwards. The tablet should be given to the patient every 12 hours. To avoid forgetting the medicine, try to keep a daily schedule of the intake at the same time every day. There are four situations where you should avoid taking Nuedexta. 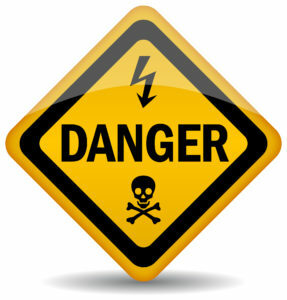 Contraindications are warnings to prevent the patient from incurring any serious adverse effects to the patient. If you are having these medications or has similar conditions as the following, do not take Nuedexta for your PBA. Monoamine Oxidase Inhibitors are contraindicated for people taking Nuedexta. Taking the medication while having MAOIs will put you to risk of serious or fatal drug interactions. It is best to stop your Nuedexta treatment and wait for 14 days before you proceed with the MAOI. Because Nuedexta is composed of Dextromethorphan and Quinidine, patients taking the treatment should not use it together with other medicines that contain quinidine as well or related drugs like quinine or mefloquine. Patients who are hypersensitive to dextromethorphan should discontinue taking Nuedexta since it can cause them to have rash or hives. Discourage patients who have a history of quinine-induced thrombocytopenia, syndromes that are lupus-like, bone marrow depression, or hepatitis as well. It is important to remember that patients who have a history of heart failure or torsades de pointes. People who have prolonged QT interval or congenital long QT syndrome is also not suitable to take a Nuedexta treatment because the effects of the QT interval may increase. Meanwhile, those who have a complete atrioventricular block with no pacemaker implant or those who have a high risk of an AV block, Nuedexta is not recommendable for them as well. Thrombocytopenia can be incurred when taking Quinidine which is in a capsule of Nuedexta. Thrombocytopenia’s symptoms are vomiting, fever, nausea, lightheadedness, and chills. If you are experiencing the said symptoms, then it is an indication to stop your Nuedexta intake immediately because it can lead to a fatal hemorrhage. However, if the thrombocytopenia is clearly not drug-related, then you may continue your treatment. If you already experienced sensitivity due to Quinidine before, you should not even consider taking Nuedexta again since it can cause more severe and immediate reactions than the previous ones. This should also be remembered if you had the same reactions from related drugs like quinine and mefloquine due to cross-sensitivity. It is discovered that quinidine is similar to several other conditions as well, like polyarthritis, lymphadenopathy, bronchospasms, hemolytic anemia, uveitis, vasculitis, angioedema, sicca syndrome, myalgia, and pneumonitis. Quinidine that is one of the components of Neudexta can cause QT prolongation or a condition that affects the heart’s rhythm. However, QT prolongation rarely lead to irregular heartbeats, dizziness or fainting which immediately needs medical attention. However, if you have certain conditions or are taking other medications, it may cause an increase of risk in QT prolongation. It is a must to tell your doctor or pharmacist about the drugs that you are using if you have conditions like heart failure, slow heartbeats, or other heart problems. You should inform the doctor as well if you have a family history of heart problems. Telling your doctor about these things will let him judge correctly if he should prescribe Nuedexta for you. To avoid accidents, do not drive, operate any types of machinery, or do activities that require alertness from you because the medication can make you dizzy. You should also keep yourself from drinking alcoholic beverages as much as possible. For pregnant women, Neudexta should lonely be taken only if it is needed because it can be passed into the woman’s breast milk. Consult your doctor and discuss with him or her the risks and benefits of doing the treatment while having a pregnancy. If you just started taking the medication and are already experiencing symptoms like diarrhea, weakness, vomiting, cough, dizziness, or swelling of certain parts of your body (feet, ankles, or hands), then it is possible that you are encountering the side effects of Nuedexta. Drowsiness might occur as well but not frequently. Inform your doctor or pharmacist immediately if you start noticing that the symptoms are getting worse or are persisting so he can tell you what to do next. However, there are serious side effects that you should take note of so you can address them properly. Bleeding, easy bruising, muscle spasms, dark urine, fever, sore throat, stomach pain or abdominal pain, yellowing of your eyes or skin, and joint, muscle, or chest pains are signs that you should tell the doctor immediately. If you start experiencing hallucinations, fast heartbeats, loss of coordination, twitching muscles, and unusual restlessness, these are implications that you need to get medical help immediately. The risk of serotonin syndrome is increased when you are taking a Nuedexta medication or other medical drugs that increase the serotonin of a patient. Allergies can also occur when taking a Nuedexta treatment. Although it is rare to experience allergic reactions from such drug, it is still essential for you to know that seeking medical help right away is needed when you start noticing rashes, itching, swelling, difficulty in breathing, or severe dizziness. 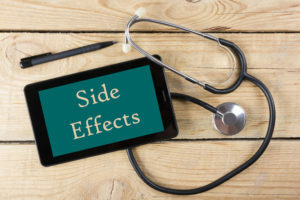 The side effects mentioned above is not a complete compilation of the possible side effects that the medication may cause the patient. It is important to stay alerted and keep an eye on the patient’s condition while taking the Nuedexta treatment. If you notice anything that looks severe or might be dangerous contact the doctor right away. If you are using other drugs while taking Nuedexta, it can affect the medication’s efficacy or even give you a higher risk of side effects which can be severe. To be sure, it is recommended to make a list of all the medical products that you are using so you can show it to your doctor. Through the list that you’ve provided, he’ll be able to identify whether the drug that you are taking is contraindicated with Nuedexta or if it’ll cause serious side effects to you while on medication. Also, keep in mind not to start a new medication, stop taking an old one, or change any of the dosages of your medications without the approval of your doctor to avoid any problems. The products that may be affected by Nuedexta are mefloquine, tricyclic antidepressants, digoxin, and aliskiren. Meanwhile, there are also some medicines that can meddle with how Quinidine in Nuedexta works in your body. Such medications are mifepristone, cobicistat, certain protease inhibitors, and certain azole antifungals. MAO inhibitors are not recommended to be taken when using Nuedexta because it can cause fatal drug interaction. It is best to ask your doctor when you can start or refrain from the medication. 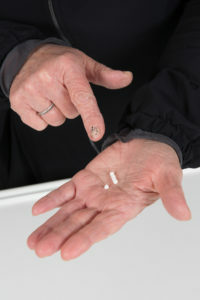 The patient is usually required to stop taking MAO inhibitors for two weeks before the medication or even after. Drugs like ranolazine, toremifene, artemether, certain quinolone antibiotics, antiarrhythmic drugs, and antipsychotics medications are among the medicines that can affect QT prolongation aside from Quinidine. Tell your doctor right away if you are taking such medications so he can evaluate whether he can prescribe Nuedexta for you. If anyone passed out or started to have difficulty in breathing after taking Neudexta, then you should call the emergency hotline immediately. You’ll be able to tell whether the patient overdoses if he or she is experiencing severe dizziness, irregular or fast heartbeat, or fainting. 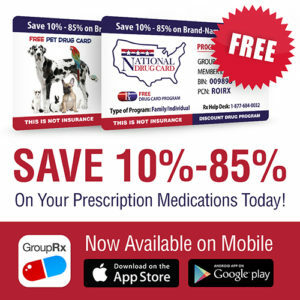 You Nuedexta medication is not meant to be shared with other people. Remember to keep your medical appointments or check-ups with your doctor confidential. Your doctor may recommend you to take regular medical tests or laboratory tests to monitor your progress and the effects of the treatment for you. You can ask your doctor for more details on how you can do this. If you forgot a dose of your Nuedexta medication, do not panic and just take medicine as soon as you remember it. However, if it is already time for your next dose, you should just skip it and resume the schedule of your daily dosage. Avoid doubling the dose just to catch up with the previous one. A tip to remember is to keep a daily schedule and try to take the capsule at the same time every day to avoid forgetting about it. Nuedexta should be kept at room temperature. As much as possible, keep the medicine away from light or moisture. Avoid keeping it in the bathroom or anywhere that the children or your pets can reach it. If you need to discard this drug, do not flush it down your toilet. Instead, you can consult your pharmacist about the proper disposal. Nuedexta is an oral medicine that can be used as a treatment for PBA. This medication is composed of dextromethorphan and quinidine. The product has an off-white color and has a 20mg and 10mg dosage of the two components respectively. It’s necessary for your doctor to check your progress regularly. Each time you visit, the doctor needs to evaluate whether the medicine works as desired. This is also where the doctor decides whether to let you continue to take the medication or not. In most cases, a blood test is required to see whether the medicine produces any unwanted side effects. If you notice any symptoms or don’t see any improvements, you should seriously consider taking a trip to your doctor. You may have to discontinue the use of the medicine altogether to prevent your condition from getting worse. It’s also possible that complications can arise if you use Nuedexta together with other medicines. Confirm with your doctor to ensure that it doesn’t interact negatively with other medications you’re taking. Remember that this medicine is known for making people dizzy. This is why medical professionals advise patients carefully about the right time to take it. Follow the advice of your doctor to avoid any accidents. Several years ago an ad campaign to build awareness about PseudoBulbar Affect (PBA) was created starring Danny Glover. The commercial was designed to inform people about the condition including to let them know that it was caused by a neurological condition and psychological as some might expect. The ad campaign was sponsored by the makers of the Nuedexta drug, Avanir Pharmaceuticals.